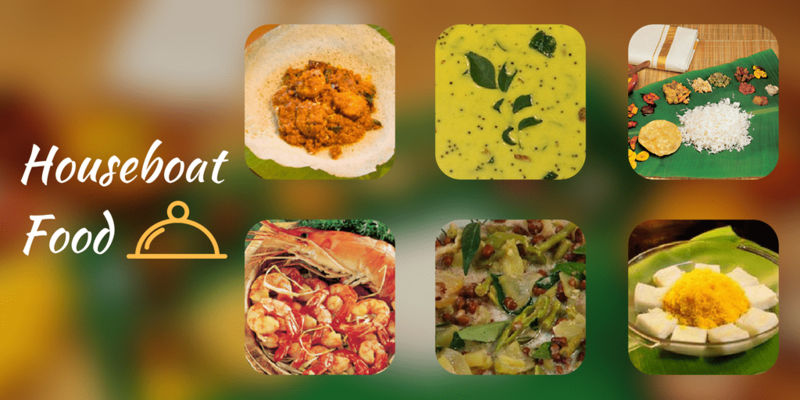 Kerala Houseboat Food Menu Veg./Non Veg. The first thing that strikes into everyone’s mind when planning for a cruise or a houseboat stay in Alleppey or anywhere in Kerala is – Are we going to get the food in houseboat of our choice and preferences? Well, here is the answer to this question about meals. Yes! Without a doubt. It doesn’t matter who you are; a vegetarian, a non-vegetarian, an egg lover or a Jain food lover. For us you are our guests and to serve our guests with all the love and attention is our priority. Keeping in mind the taste from all the corners of India and abroad; we have made the menu to soothe each of our houseboat stay guest. To add to your information please note that all the houseboats buy provision and vegetables every day according to their bookings. Therefore for all the guests who choose either for the overnight stay of day trip have an advantage of choosing their menu from the fixed menu available in the houseboat. Guests may please also take a note that Pure Veg, Jain food and non-veg are all available on demand but Continental, Chinese and Italian are not often available. The menu is entirely depending upon the choice of boat service that you have. It is always recommended to have a private boat rather than having it on sharing basis in case the guests are pure vegetarian or looking for Jain food to be served. Common item available for Veggies and Non Veggies. Plain Rice, Sambhar, Avail, Fried Beans, Green Salad,Curd, Pickle, Papadetc. Plain Rice, Chapati, Sambhar, Avail (Mixed Veg. Gravy), Fried Beans, Green Salad,Curd, Pickle, Papad etc. Local Karimeen Fish Fry One Piece Of 180-200gms Each. Idli, Dosa (Mix of Rice Powder and Pulse) With Sambharand Chutney. Fresh Fruit Juice, Idli, Dosa(Mix of Rice Powder and Pulse) With Sambharand Chutney. Note: We don’t allow the outside food items but we assure you the freshly cooked food to be served every day. The menu has been designed to satisfy the taste-buds of all the people who take a houseboat package and plan to spend a quality amid waters and nature surrounding them. It is requested to all the guests to share with the houseboat staff in case you are allergic to a particular food item or ingredient. This would help the crew members and cook for serving you only the best food for the good times.